Wasilla GOP Rep. David Eastman said he’s not ready to “sign on the dotted line” and vote for Rep. Dave Talerico of Healy, who Republicans said would be the next House speaker when the chamber convenes in January. Eastman is one of the most conservative members of the Legislature, and his position on Talerico casts doubt on the durability of the new 21-member GOP majority announced Wednesday. In the 40-member House, opposition from a single member could undercut the group’s ability to pass legislation. And it’s also still not clear that the majority will even have 21 members — one Republican, Bart LeBon of Fairbanks, has a narrow, 79-vote lead over his Democratic opponent, with absentee ballots still to be counted. Republicans said at a news conference Wednesday that they have 21 members of a new majority that will take power back from the largely-Democratic group that’s controlled the House for the past two years. But there were only 20 people in the room — Eastman was missing. Eastman said in a phone interview Thursday morning that he intends to vote for a Republican as speaker. But he wants to have a better feel for a candidate’s priorities and agenda before agreeing to vote for them, he said. Eastman is about to start his second two-year term in the House. In his first one, he became known for taking far-right, uncompromising positions on the state budget and social issues like abortion. And his willingness to break with some of his GOP colleagues underscores how the party could still face obstacles enacting its agenda even if Tuesday’s election gives Republicans control of the House, Senate and governor’s office. 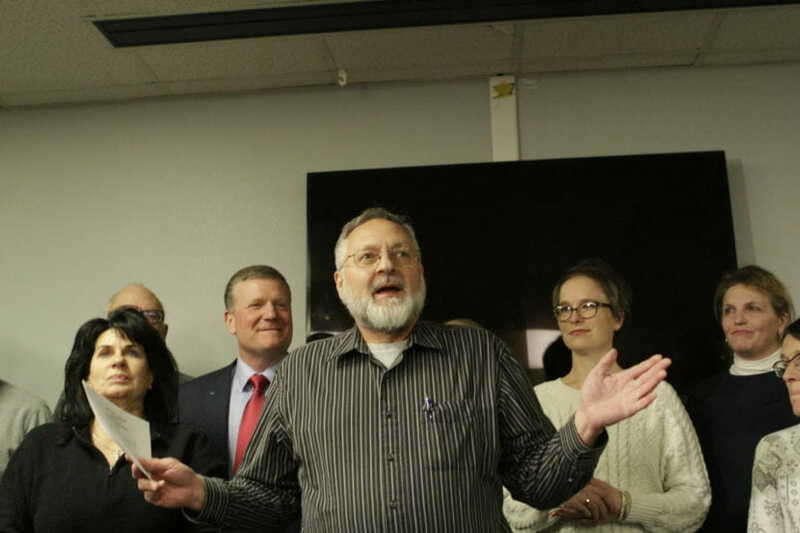 But one of the new leaders of the House Republicans, Anchorage Rep. Lance Pruitt, said he’s confident the GOP will have at least 21 votes to elect Talerico as speaker. Eastman participated in the new majority’s discussions Wednesday and “engaged in the whole conversation,” Pruitt said.